Premieres Sunday, June 22 at 8pm on TNT. Not to be confused with the Sting musical of the same name, this Ship will have no random outbursts of singing. Based on William Brinkley's 1988 novel of the same name and produced by Michael Bay, TNT's post-apocalyptic thriller is a series filled with square jaws and and incredibly dated jingoism. Dr. Rachel Scott (Rhona Mitra) comes across a lethal virus that's begun spreading in the poorer parts of the world. In an effort to try to combat this new bug, she's gets passage on the USS Nathan James for a secret investigation to the Arctic. Not even the ship's commanding officer Tom Chandler (Eric Dane) knows the truth of her mission, as he's been given orders that he and his crew are just engaging in a routine weapons test while Scott tags along to check out arctic birds. After a four-month journey with minimal contact to the outside world, Chandler learns that the virus has taken out 80 percent of the world's population and, due their isolation during the outbreak, the Nathan James is uniquely unexposed. The hope is that Dr. Scott will be able to develop a vaccine based on the data she's collected, but with limited resources and a fringe group of Russians trying to apprehend her and collect her research, the ship and its crew will be tested. 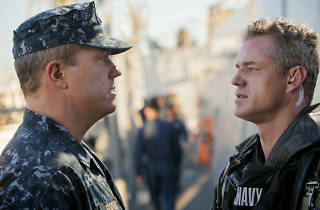 It's hard to watch The Last Ship and not compare it unfavorably to ABC's short-lived drama Last Resort. While the latter might not have featured a global pandemic, it did focus on an isolated U.S. Navy crew struggling to stick together in the face of unpredictable enemies—and it managed to do so without resorting to outdated cultural stereotypes. The Last Ship fails to accomplish any of this, sliding in 24-style levels of hysteria. Despite Russia's recent headline-generating antics, the depiction of them here as villains feels as outdated as you might expect from something originally created in the '80s. Even more outrageous is the supply trip to Guantanamo Bay that erupts into a firefight with former Al Qaeda captors who could not be more painfully clichéd Muslim baddies. Because, you know, the world has basically ended, and you've been granted freedom, but rather than try to survive, let's keep killing everyone you see. 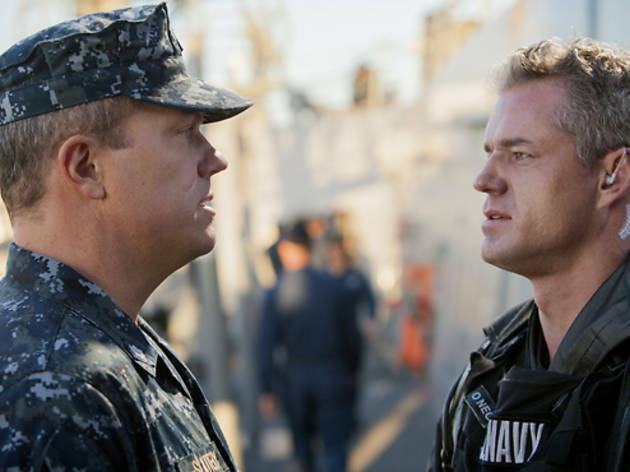 Like a bad version of a Tom Clancy novel, The Last Ship falls prey to the worst aspects of producer Bay's films from cardboard caricatures to rampant bellicosity and xenophobia, without any of the flashy filmmaking that can at least make it watchable. A relic of the Cold War era, The Last Ship and its offensive global perspective should have stayed on the page.